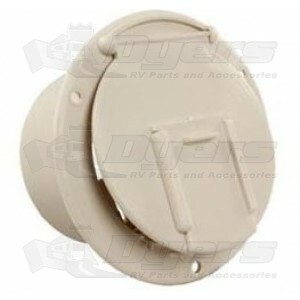 Round electrical hatch constructed not to fade or discolor due to weather or chemical action. Vermin door will accept a 30 or 50 AMP cord. Door comes with a snap lock feature to keep it securely closed while traveling. Replaces any round hatch up to 4-1/2". Fit perfect, easy to install, got it in 2 days! !